Temperature is the most often-measured environmental quantity. This might be expected since most physical, electronic, chemical, mechanical, and biological systems are affected by temperature. 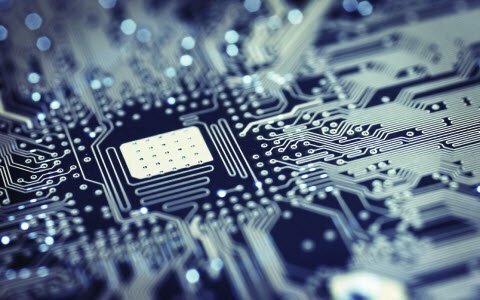 Certain chemical reactions, biological processes, and even electronic circuits perform best within limited temperature ranges. Temperature is one of the most commonly measured variables and it is therefore not surprising that there are many ways of sensing it. Temperature sensing can be done either through direct contact with the heating source, or remotely, without direct contact with the source using radiated energy instead. There are a wide variety of temperature sensors on the market today, including Thermocouples, Resistance Temperature Detectors (RTDs), Thermistors, Infrared, and Semiconductor Sensors. 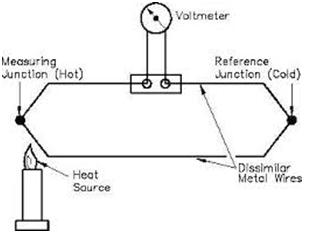 Thermocouple: It is a type of temperature sensor, which is made by joining two dissimilar metals at one end. The joined end is referred to as the HOT JUNCTION. The other end of these dissimilar metals is referred to as the COLD END or COLD JUNCTION. The cold junction is actually formed at the last point of thermocouple material. 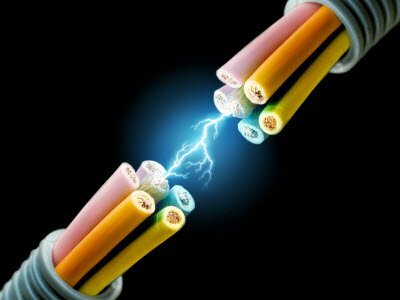 If there is a difference in temperature between the hot junction and cold junction, a small voltage is created. This voltage is referred to as an EMF (electro-motive force) and can be measured and in turn used to indicate temperature. The RTD is a temperature sensing device whose resistance changes with temperature. Typically built from platinum, though devices made from nickel or copper are not uncommon, RTDs can take many different shapes like wire wound, thin film. To measure the resistance across an RTD, apply a constant current, measure the resulting voltage, and determine the RTD resistance. RTDs exhibit fairly linear resistance to temperature curves over their operating regions, and any nonlinearity are highly predictable and repeatable. The PT100 RTD evaluation board uses surface mount RTD to measure temperature. An external 2, 3 or 4-wire PT100 can also be associated with measure temperature in remote areas. The RTDs are biased using a constant current source. So as to reduce self-heat due to power dissipation, the current magnitude is moderately low. The circuit shown in figure is the constant current source uses a reference voltage, one amplifier, and a PNP transistor. Thermistors: Similar to the RTD, the thermistor is a temperature sensing device whose resistance changes with temperature. 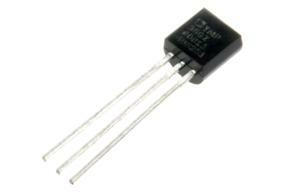 Thermistors, however, are made from semiconductor materials. Resistance is determined in the same manner as the RTD, but thermistors exhibit a highly nonlinear resistance vs. temperature curve. Thus, in the thermistors operating range we can see a large resistance change for a very small temperature change. This makes for a highly sensitive device, ideal for set-point applications. 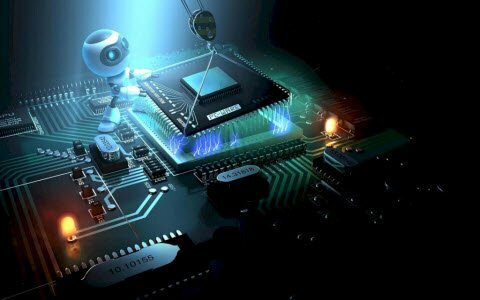 Semiconductor sensors: They are classified into different types like Voltage output, Current output, Digital output, Resistance output silicon and Diode temperature sensors. Modern semiconductor temperature sensors offer high accuracy and high linearity over an operating range of about 55°C to +150°C. 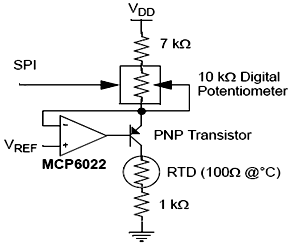 Internal amplifiers can scale the output to convenient values, such as 10mV/°C. They are also useful in cold-junction compensation circuits for wide temperature range thermocouples. A brief details about this type of temperature sensor are given below. There are a wide variety of temperature sensor ICs that are available to simplify the broadest possible range of temperature monitoring challenges. These silicon temperature sensors differ significantly from the above mentioned types in a couple of important ways. The first is operating temperature range. A temperature sensor IC can operate over the nominal IC temperature range of -55°C to +150°C. The second major difference is functionality. A silicon temperature sensor is an integrated circuit, and can therefore include extensive signal processing circuitry within the same package as the sensor. 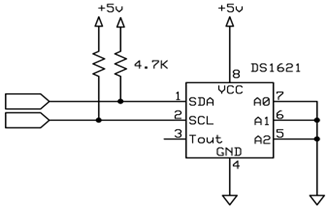 There is no need to add compensation circuits for temperature sensor Ics. Some of these are analogue circuits with either voltage or current output. Others combine analogue-sensing circuits with voltage comparators to provide alert functions. Some other sensor ICs combine analogue-sensing circuitry with digital input/output and control registers, making them an ideal solution for microprocessor-based systems. Digital output sensor usually contains a temperature sensor, analog-to-digital converter (ADC), a two-wire digital interface and registers for controlling the IC’s operation. Temperature is continuously measured and can be read at any time. If desired, the host processor can instruct the sensor to monitor temperature and take an output pin high (or low) if temperature exceeds a programmed limit. Lower threshold temperature can also be programmed and the host can be notified when temperature has dropped below this threshold. Thus, digital output sensor can be used for reliable temperature monitoring in microprocessor-based systems. Above temperature sensor has three terminals and required Maximum of 5.5 V supply. This type of sensor consists of a material that performs the operation according to temperature to vary the resistance. 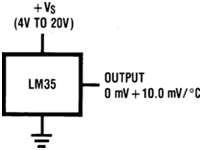 This change of resistance is sensed by circuit and it calculates temperature. When the voltage increases then the temperature also rises. We can see this operation by using a diode. Temperature sensors directly connected to microprocessor input and thus capable of direct and reliable communication with microprocessors. The sensor unit can communicate effectively with low-cost processors without the need of A/D converters. 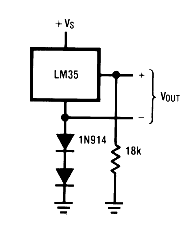 An example for a temperature sensor is LM35. The LM35 series are precision integrated-circuit temperature sensors, whose output voltage is linearly proportional to the Celsius temperature. The LM35 is operates at -55˚ to +120˚C. The basic centigrade temperature sensor (+2˚C to +150˚C) is shown in figure below. The LM35 can be connected easily in the same way as other integrated circuit temperature sensors. It can be stuck or established to a surface and its temperature will be within around the range of 0.01˚C of the surface temperature. This presumes that the ambient air temperature is just about the same as the surface temperature; if the air temperature were much higher or lower than the surface temperature, the actual temperature of the LM35 die would be at an intermediate temperature between the surface temperature and the air temperature. The temperature sensors have well known applications in environmental and process control and also in test, measurement and communications. A digital temperature is a sensor, which provides 9-bit temperature readings. Digital temperature sensors offer excellent precise accuracy, these are designed to read from 0°C to 70°C and it is possible to achieve ±0.5°C accuracy. These sensors completely aligned with digital temperature readings in degree Celsius. Digital Temperature Sensors : Digital temperature sensors eliminate the necessity for extra components, such as an A/D converter, within the application and there is no need to calibrate components or the system at specific reference temperatures as needed when utilizing thermistors. Digital temperature sensors deal with everything, empowering the basic system temperature monitoring function to be simplified. The advantages of a digital temperature sensor are principally with its precision output in degrees Celsius. The sensor output is a balanced digital reading. This intends no other components, such as an analogue to digital converter and much simpler to use than, a simple thermistor which provides a non-linear resistance with temperature variation. An example for a digital temperature sensor is DS1621, which provides a 9 bit temperature reading. Temperature range of -55⁰C to +125⁰C in 0.5⁰ intervals is measured. Gives temperature value as a 9-bit reading. Wide power supply range (2.7V to 5.5V). Converts temperature to digital word in less than one second. Thermostatic settings are user definable and Non volatile. It is as 8-pin DIP. SDA – 2-Wire Serial Data Input/ Output. 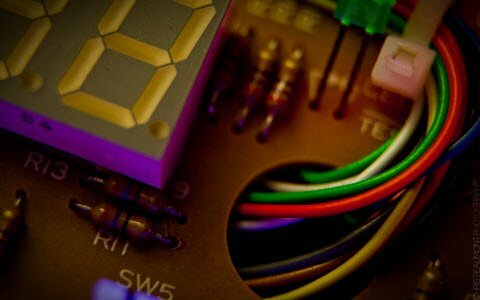 SCL – 2-Wire Serial Clock. TOUT – Thermostat Output Signal. A0 – Chip Address Input. A1 – Chip Address Input. A2 – Chip Address Input. VDD – Power Supply Voltage. When the temperature of the device exceeds a user-defined temperature HIGH then the output TOUT is active. The output will remains active until the temperature drops below user defined temperature LOW. User defined temperature settings are saved in nonvolatile memory so it may be programmed prior to insertion in a system. The temperature reading is provided in a 9-bit, two’s complement reading by issuing the READ TEMPERATURE command in the programming. We want to measure the temperature of Compressed Air. 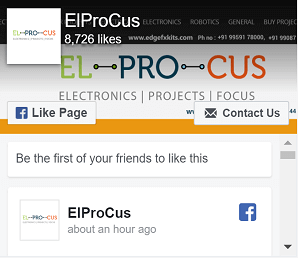 Please recommend us sensors that is suitable for it. The temperature of Compressed Air can be measured with temperature sensors or flow sensors. A great blog detailing the various types of air temperature sensors. As mentioned, the temperature is definitely a vital environmental quantity and is crucial for various applications. 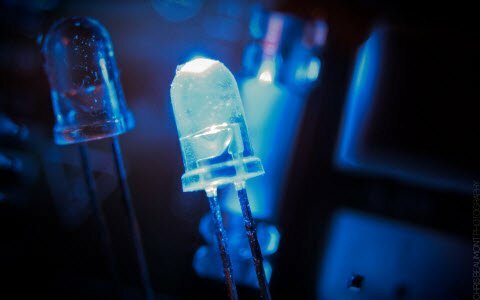 Why do we use diode in temperature sensor circuit?? can u explain the working? ?